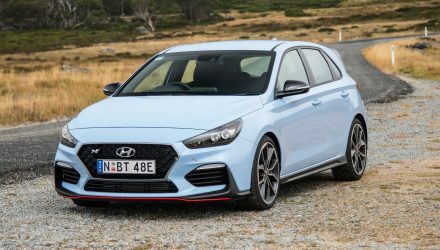 For the first time Hyundai has produced an i30 that embodies the soul of a hot hatch while blending in the convenience and practicality of a modern small car. 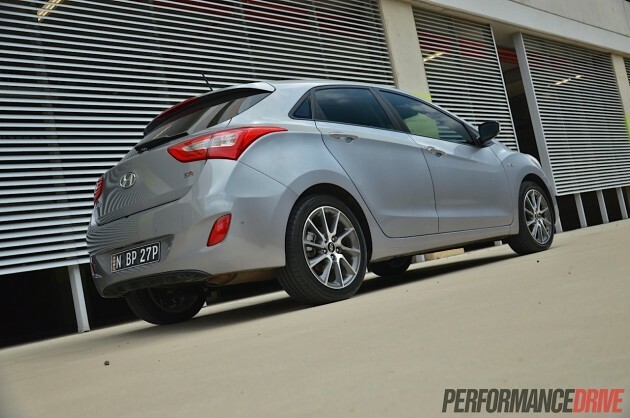 This is the i30 SR, a sporty hatch for everyday drivers. Australians have been enjoying the i30 for well over five years now. 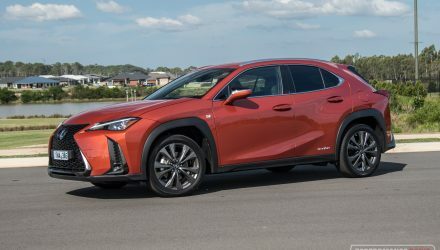 Last year, it was the third best-selling small car in the country, only losing out to the very popular Mazda3 and the Toyota Corolla; both veterans that have had years to develop into iconic, highly trusted models. 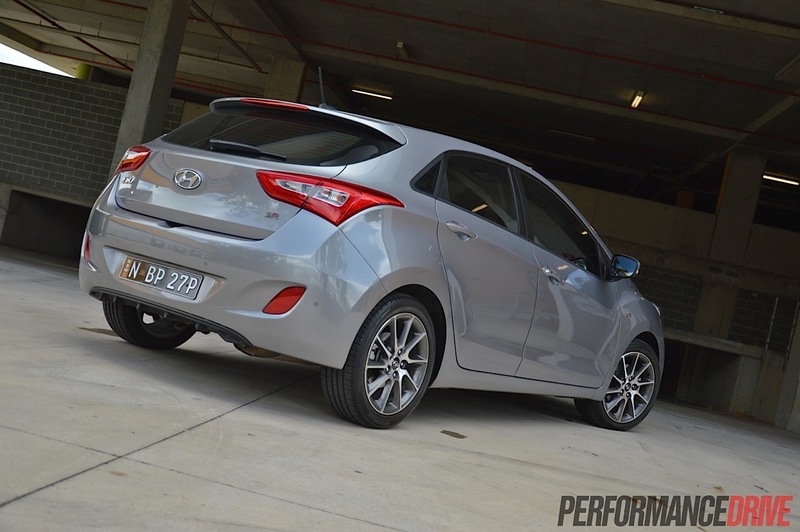 Despite the popularity, Hyundai has taken its time in launching a hot hatch version. The funny thing is though, the SR isn’t really a hot hatch but more of a sporty hatch. For all out enthusiasts, there’s always the Veloster SR Turbo. 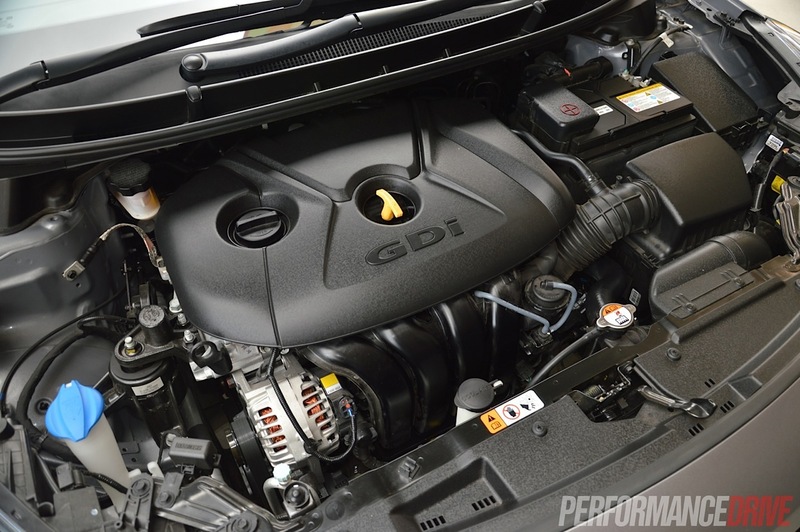 For the i30 SR, Hyundai has dropped its 2.0-litre GDI four-cylinder into the engine bay, which produces more power than the regular model’s 1.8-litre powerplant. 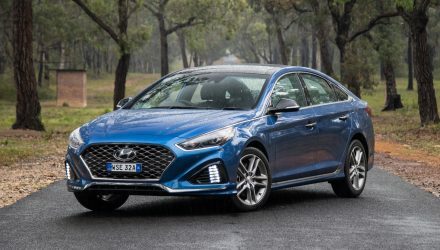 It’s a naturally aspirated unit from Hyundai’s advanced ‘Nu’ engine family, also seen in the i40 sedan and Tourer range. It produces 129kW and 209Nm. 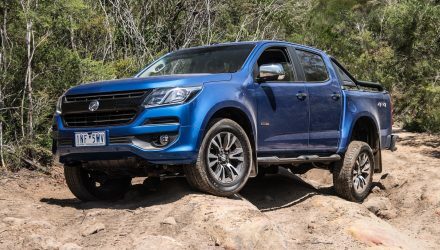 The suspension has also been given the once-over, specifically tuned to handle Australia’s tough conditions and to provide a fun driving character, topped off with a set of sporty 17-inch alloy wheels. 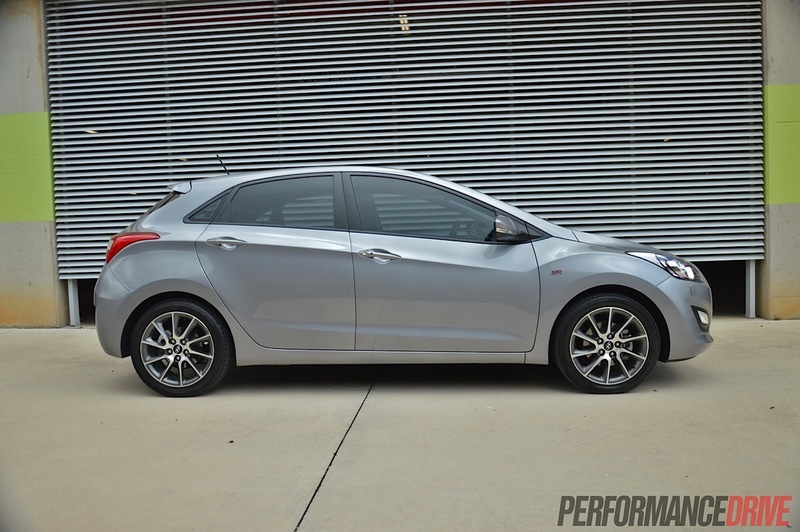 Starting at $27,990 for the manual option, the i30 SR jumps by another $3000 if you tick off the sunroof option. 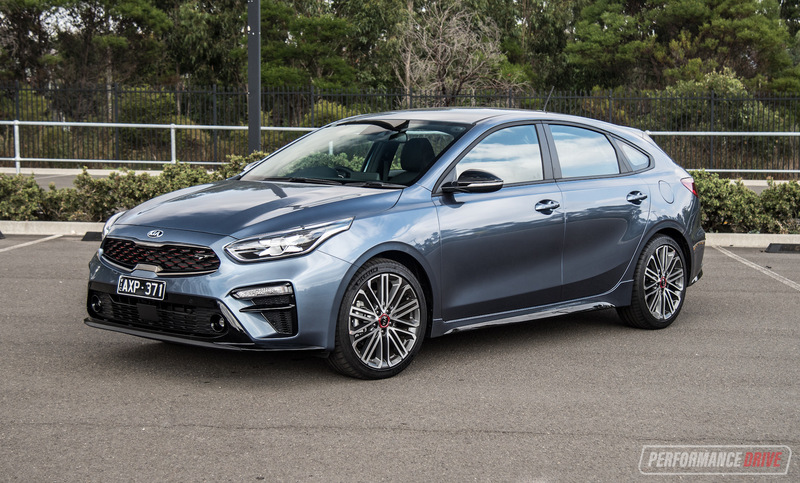 This puts it up against some stiff competition in terms of compact hot hatches – the smaller Volkswagen Polo GTI and Ford Fiesta ST – and it sits in the middle of the market in terms of high-spec small hatch prices. Get PD to find you the best price on a new Hyundai i30 by clicking here. Hyundai has outdone itself in the style department for the i30, producing a wonderfully sporty feel inside and out. 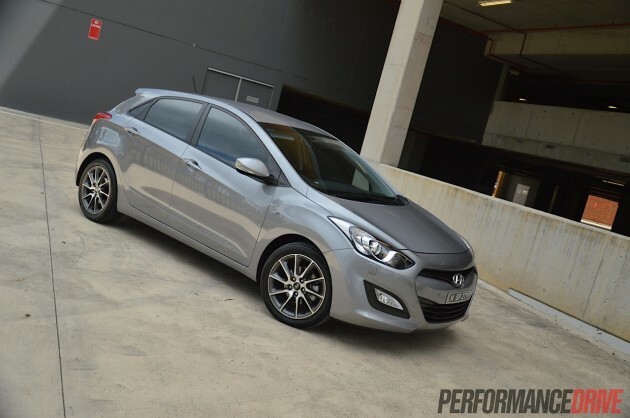 The combination of sharp lines and soft curves make the i30 a stylish small car. 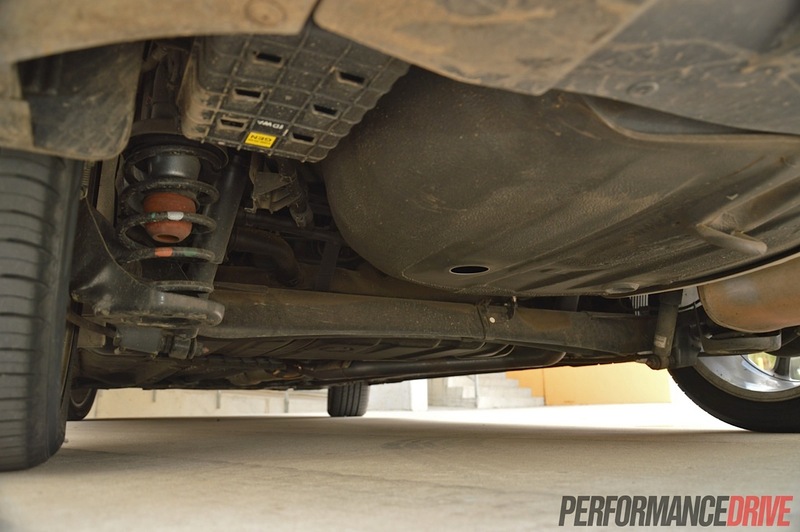 Attention to detail is also high in the SR, and one of the big talking points is the unique suspension tuned to suit the often harsh conditions of Australian roads. 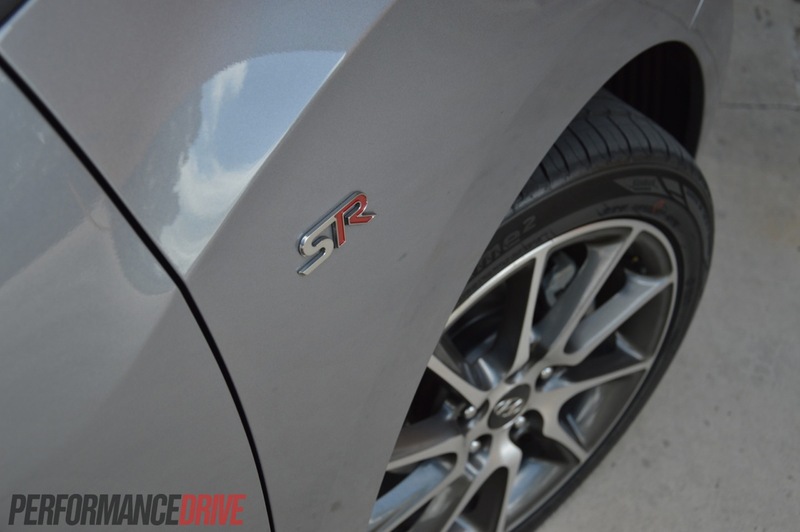 The Korean carmaker worked with renowned suspension manufacturer Sachs to develop bespoke front and rear dampers for the SR, and that effort has made a big difference to the car’s feel on the road. 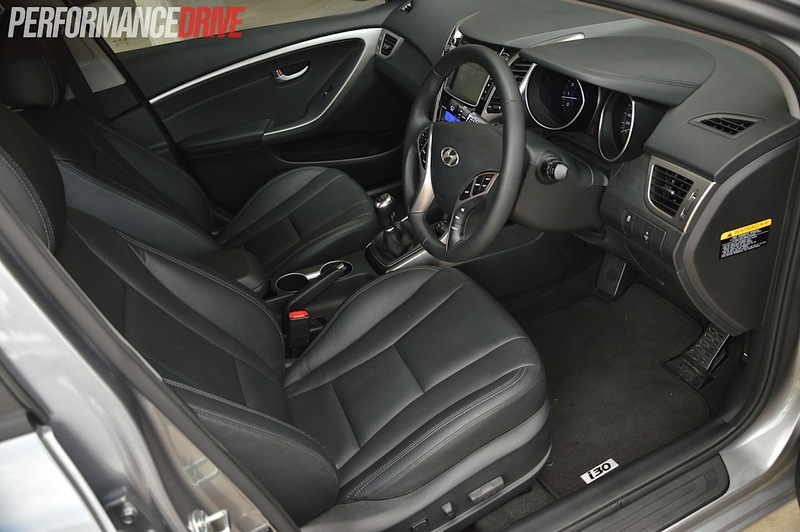 The i30’s interior is simply a pleasure to behold and is one of the car’s biggest drawing points. 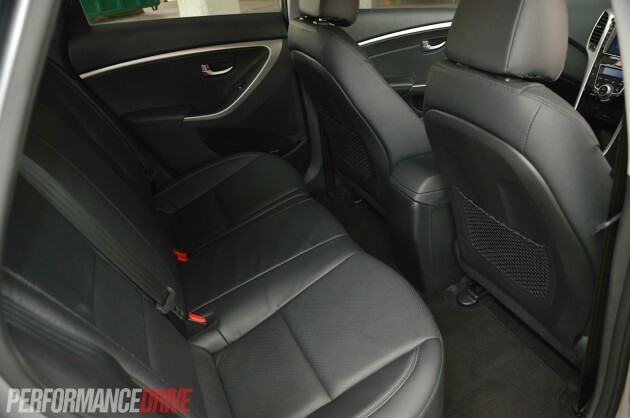 The seats have been made with a mix of real and faux leather and are comfortably bolstered. The front seats are fully electric, and there’s power windows with auto functions for all, sat-nav, a rear-view camera, and a multi-format audio system. The steering wheel feels nice in your hands and the buttons are big and easy to hit. 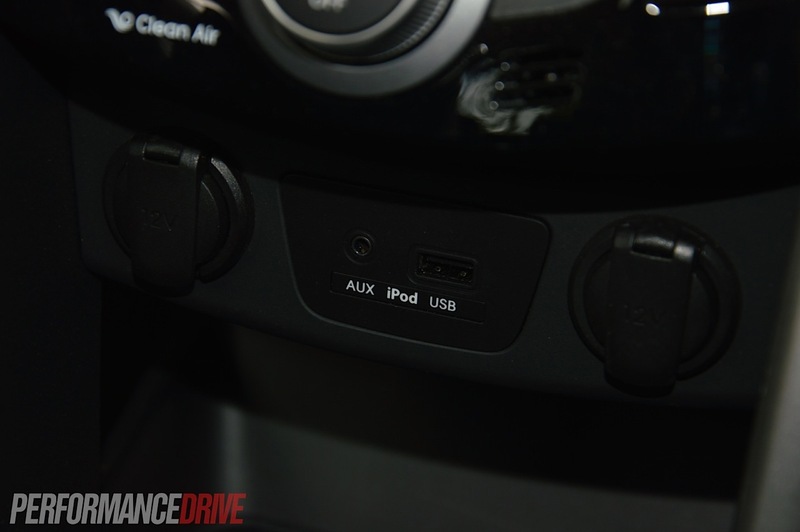 The buttons on the wheel control just about everything you need for daily driving too, but the radio controls to the left of the wheel are a bit cumbersome. 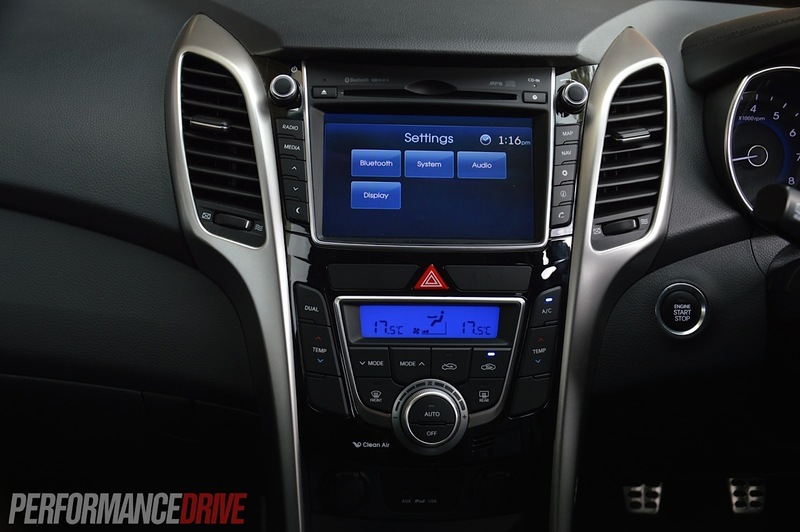 There’s a large central touch-screen in the dash with bright and clear graphics and easy to navigate menus. 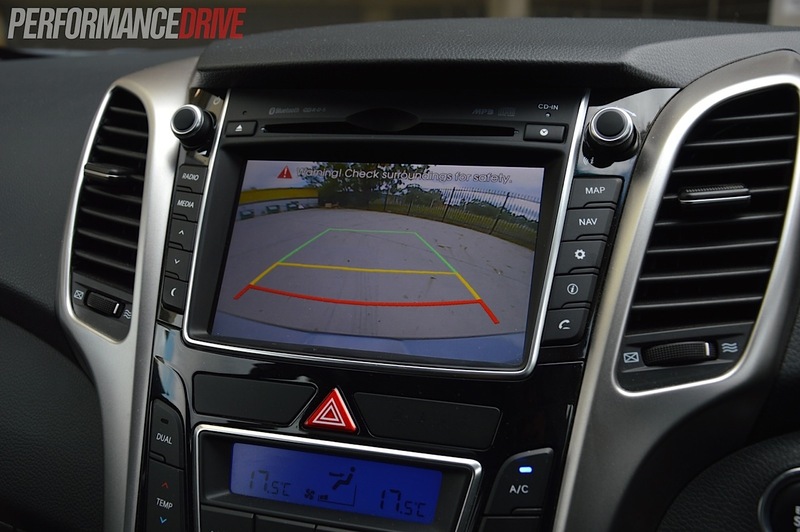 The system is simple and will start to feel second nature in no time, which is what you need in a practical daily hatch. The GPS system is counter-intuitive though and struggles to re-calculate a route if you choose a different road from the set path. There is a deceiving amount of rear legroom. 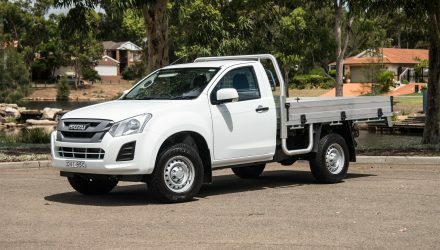 It might look small on the outside but there’s actually lots of room in the back, which is a big plus in this competitive market. 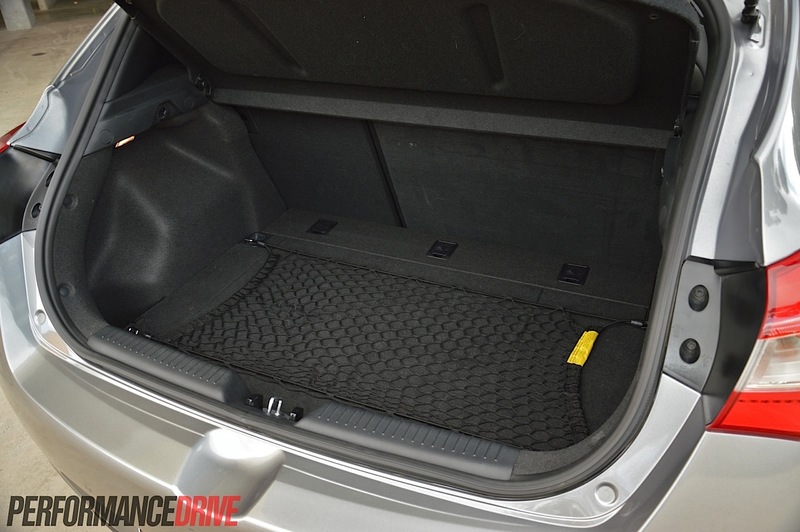 The boot is slightly larger than the segment average too, coming in at 378 litres. The story gets better on the outside, with sharp lines flowing through soft curves in the middle. Being a sports model there’s plenty separating it from the base i30, including 17-inch alloy wheels with black inner spokes, piano-black inserts in the front grille, a rear diffuser-like underpanel, HID Xenon headlights and LED taillights. It’s a sports model so you’d expect something nimble and torquey, right? 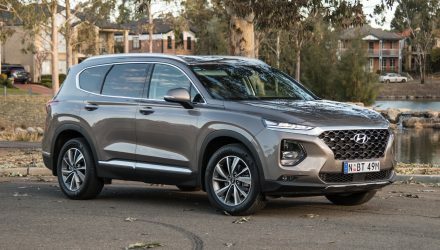 Hyundai claims the 2.0-litre engine is ‘torque rich’ but in reality that statement misses the mark. 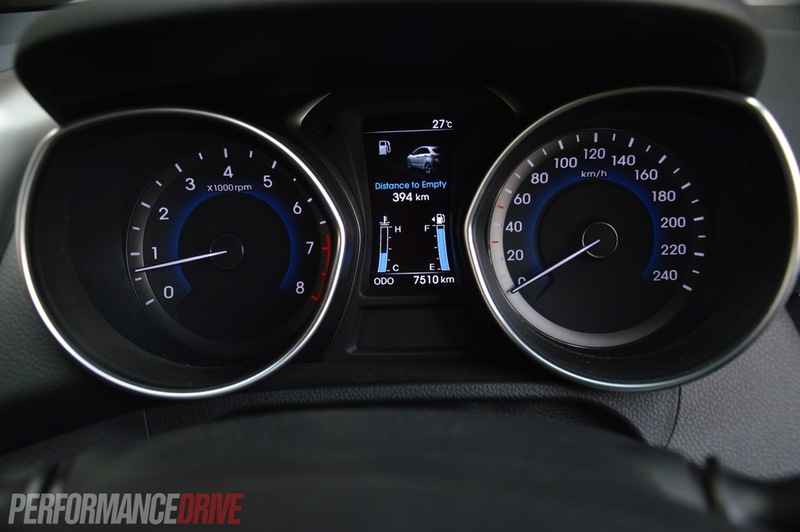 According to Hyundai, 200Nm of the 209Nm max is available between 4000 and 5500rpm. This is quite a narrow band that’s also high in the rev range, especially in today’s mostly turbocharged world. It could do with the help of forced induction, we think, to help pick it up from lower revs. There’s not much power down low but when you plant the accelerator and keep it there the revs climb and the car starts to shine. 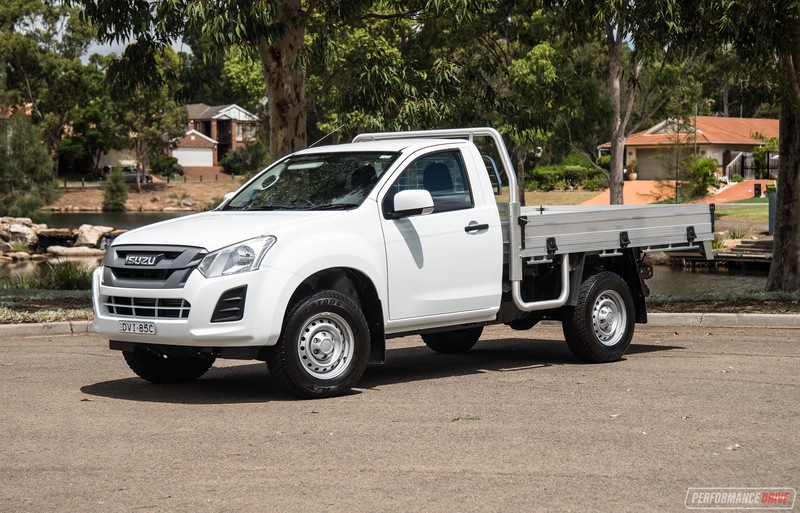 It’s one of those vehicles that isn’t all that great at surging through traffic and overtaking. It’s at its best only when you’re really giving it some. And when you do, it’s rewarding. 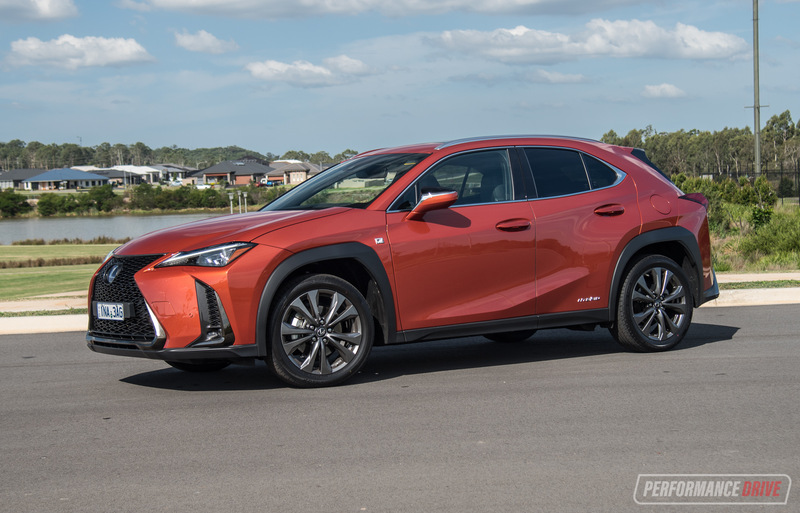 The six-speed manual has a comfortable throw when climbing through gears, helping to provide a fun, playful character as you chuck it about, and the brakes clamp strong even after heavy use. In terms of handling, the tuned sports suspension makes the ride a bit stiffer than the regular i30, resulting in a nice solid feel on the road. There’s very little bodyroll when the car is pointed through the twisty stuff. 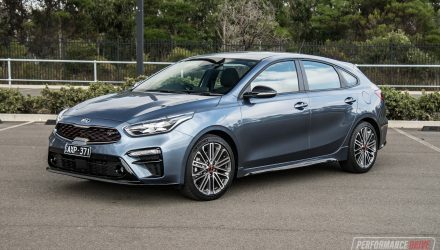 While it might not offer the sharpness and precision of a genuine ‘hot hatch’, the setup is a good compromise between stability and ride comfort. For some of Australia’s ordinary roads, it’s perfect. With the traction control turned off the front wheels don’t mind a bit of punishment, chirping away at any chance they get. 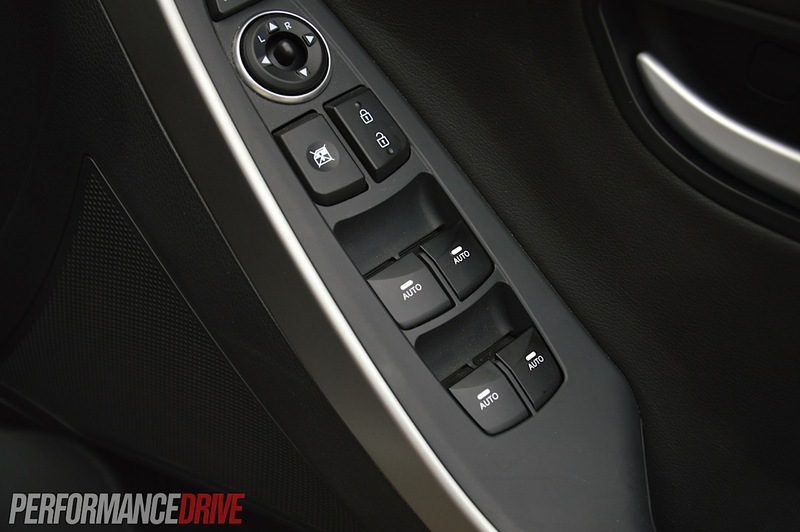 Being front-wheel drive first-gear wheelspin is common during heated driving, but grabbing second gear quickly steadies that. Letting the revs climb has the added bonus of putting the engine in a good place to keep momentum through the rest of the gears. From a standing start the SR manual managed 0-100km/h in 7.4 seconds during our test. 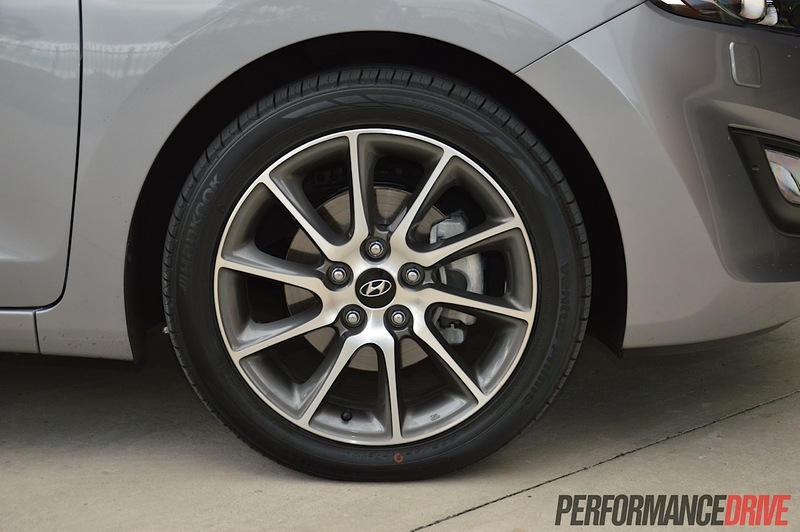 Hyundai says the automatic version will do it in 7.7 seconds. This is pretty quick for a warm hatch. 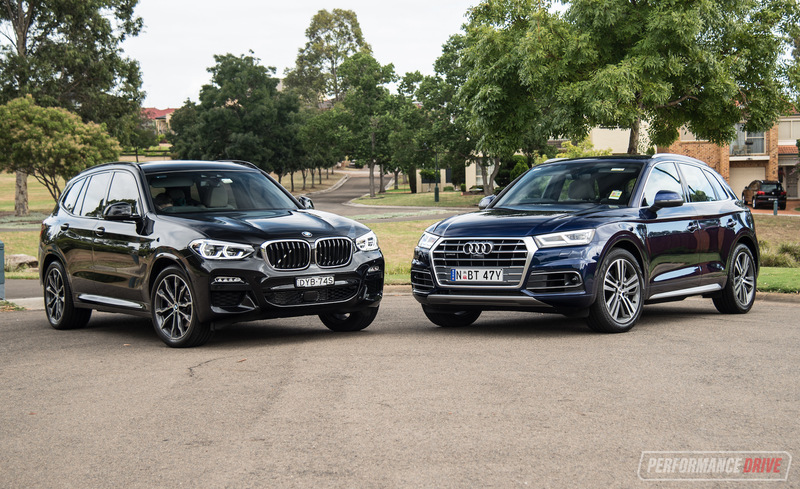 After a mix of highway and urban driving, we managed an average fuel consumption of 8.9L/100km, which is higher than the official combined figure of 7.2L/100km. 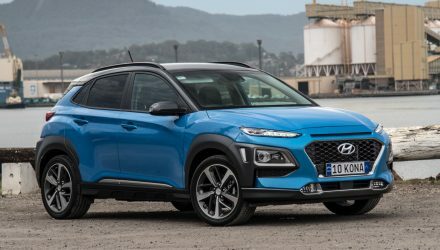 Hyundai has come a long way from the early days when it was a relatively small company producing below-par vehicles mostly for growing markets. 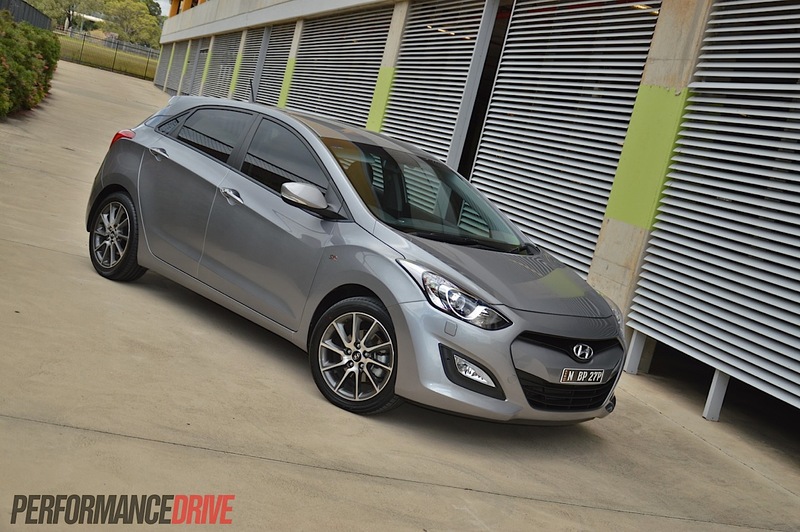 The i30 shows plenty of promise. It is, unmistakably, at world class level. 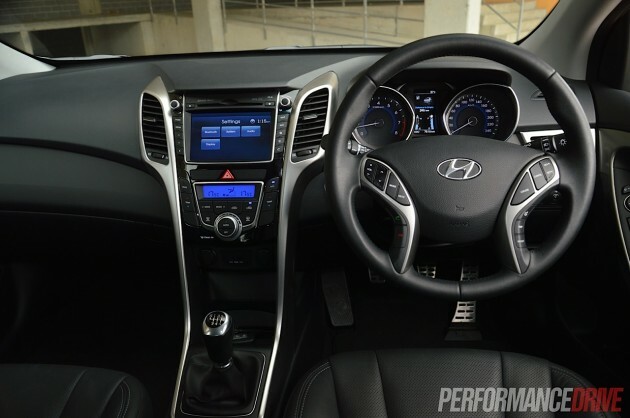 With its sharp looks and flash yet functional interior, Hyundai has put together a fantastic small car. There’s genuine excitement sitting in this car and it’s fun to drive. 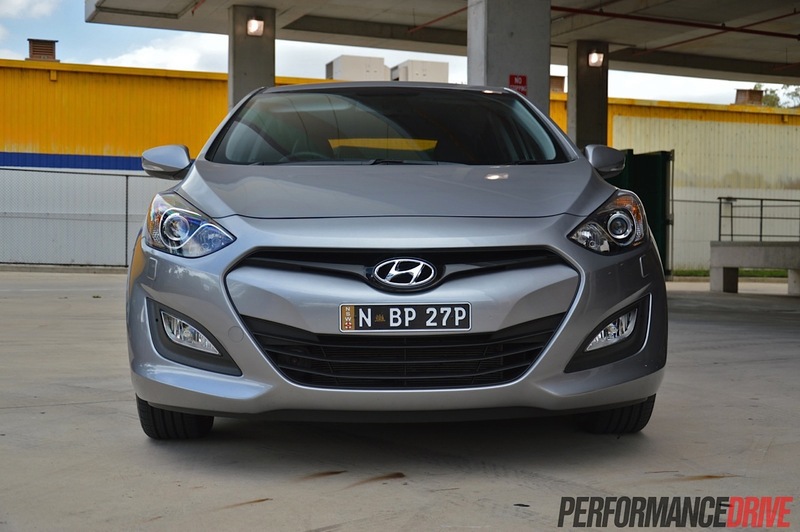 Above all, it’s still as practical and liveable as the regular i30, with no side-effects. We can’t help but think what it would be like with Hyundai’s 1.6 turbo engine though, and it’s 265Nm. 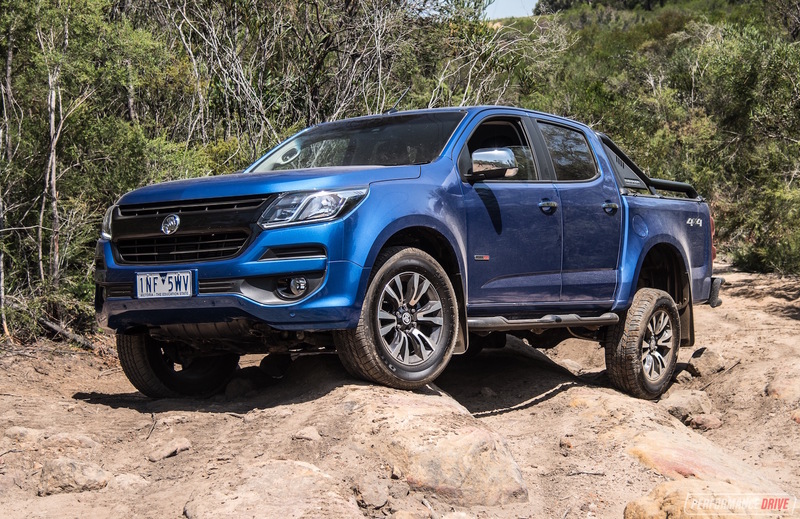 All of the elements are there for a sporty drive, the engine just needs a hard workout to get the most from its well-sorted suspension.